Nathaniel’s Marco Masa joins the Jollibee family as the newest ambassador of Jolly Spaghetti. Marco Masa has been delighting televiewers with his heartwarming portrayal of an angel sent back to the world to restore man’s faith in God in ‘Nathaniel’. In this primetime fantasy drama series, eight-year-old Marco enjoys spreading his wings beneath the limelight along with imbibing the lessons and good morals that come with his role. As Nathaniel, Marco exemplifies the kindness, obedience, and playfulness of a Filipino child, endearing him to fellow children and entire families. This time, the promising young actor is taking on a new role as Jollibee’s newest brand ambassador, partnering with his ultimate favorites—Jolly Spaghetti and his mom, Sol Masa. Marco Masa, enjoys his cheesiest, meatiest, and spaghettiest langhap-sarap treat. Jollibee’s cheesiest, meatiest, and spaghettiest offering is something that Marco and Mommy Sol both love. With the perfect blend of rich tomato sauce, juicy hotdog and ham bits generously topped with cheese, Jolly Spaghetti is truly the preferred choice of Filipinos and there are no better ambassadors to represent it than the primetime superstar angel and his mom. 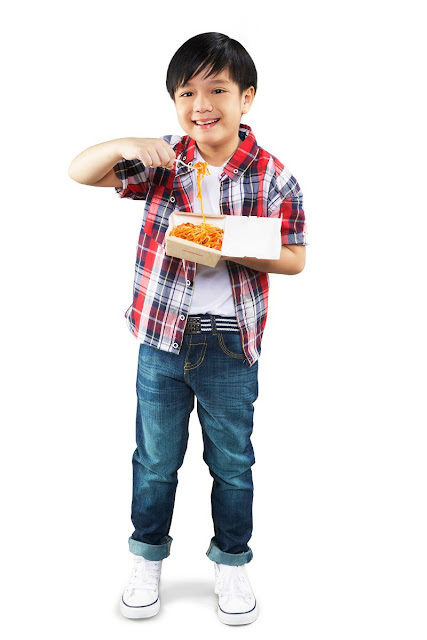 “We really love Jollibee, so when we were chosen (as brand ambassadors), we felt very proud,” said Mrs. Masa, who is sharing the limelight with her son for the first time in their Jolly Spaghetti commercial. According to her, Jollibee has always been close to their hearts, especially now that her children are growing up. When asked about his favorite food, Marco couldn’t contain his excitement over his mother’s home-cooked meals and his favorite Jolly Spaghetti. “Cheese, maraming maraming cheese with the sauce and meat,” he said when asked about what he liked most about Jolly Spaghetti. Mother and son also make sure to spend quality time with the rest of the family. “Tapings for Nathaniel are during Mondays, Wednesdays and Fridays, so Tuesdays and Thursdays are his school days while the weekends are for our family time,” shared Mommy Sol. And just like any other family, “It can be tough, but we make sure we have time to bond as a family especially on weekends to go to malls, play badminton, go biking, and of course, enjoy our favorite Jollibee treats,” she said. 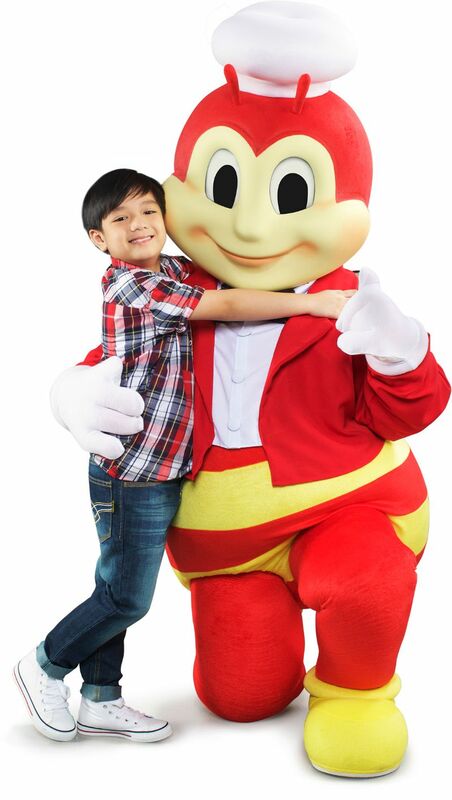 “We’re very happy to finally have Marco as part of the Jollibee family, as he is a wonderful role model, especially to kids in this generation,” said Jollibee Vice President for Marketing Harvey Ong. Aside from Marco, Jollibee ambassadors are Popstar Royalty Sarah Geronimo, Bamboo, The Voice Kids Season 1 top four Lyca Gairanod, Darren Espanto, Juan Karlos Labajo and Darlene Vibares, Nadine Lustre, James Reid and Zoren Legaspi, Carmina Villarroel-Legaspi and their twins Mavy and Cassy.